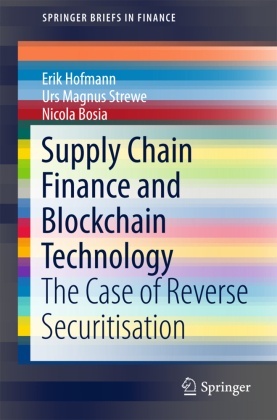 This book investigates how the Blockchain Technology (BCT) for Supply Chain Finance (SCF) programs allows businesses to come together in partnerships and accelerate cash flows throughout the supply chain. BCT promises to change the way individuals and corporations exchange value and information over the Internet, and is perfectly positioned to enable new levels of collaboration among the supply chain actors. The book reveals new opportunities stemming from the application of BCT to SCF financing solutions, particularly reverse factoring - or approved payables financing. To do so, it first identifies the principal barriers and pain points in delivering financing solutions. Then, a possible blockchain-driven supply chain model is defined. Using this framework, the book subsequently discusses relevant use cases for the technology, which could open up new opportunities in the SCF space. It demonstrates that blockchain and distributed ledgers technologies could deliver substantial benefits for all parties involved in SCF transactions, promising to expedite the processes and lower the overall costs of financing programs. Industry giants such as IBM, Maersk, China-based Dianrong and FnConn (a Foxconn subsidiary) are currently working to digitize the global, cross-border supply chain using blockchain technology, and will likely soon create blockchain platforms for supply chain finance. These solutions aim to reduce complexity and make data sharing more secure, accurate and efficient. This book offers a highly topical resource for stakeholders across the entire supply chain, helping them prepare for the upcoming technological revolution. Introduction - Why to pay attention on blockchain-driven supply chain finance?.- Background I - What is buyer-led supply chain finance?.- Background II - What is reverse securitisation?.- Background III - What is blockchain technology?.- Concept - Where are the opportunities of blockchain-driven supply chain finance?.- Discussion - How does the full potential of blockchain technology in supply chain finance look like?.- Conclusion - What can we learn from blockchain-driven supply chain finance?.